PS: The POS at 405 Park can’t survive much longer! I hope that it’s torn down and replaced with a residential tower! 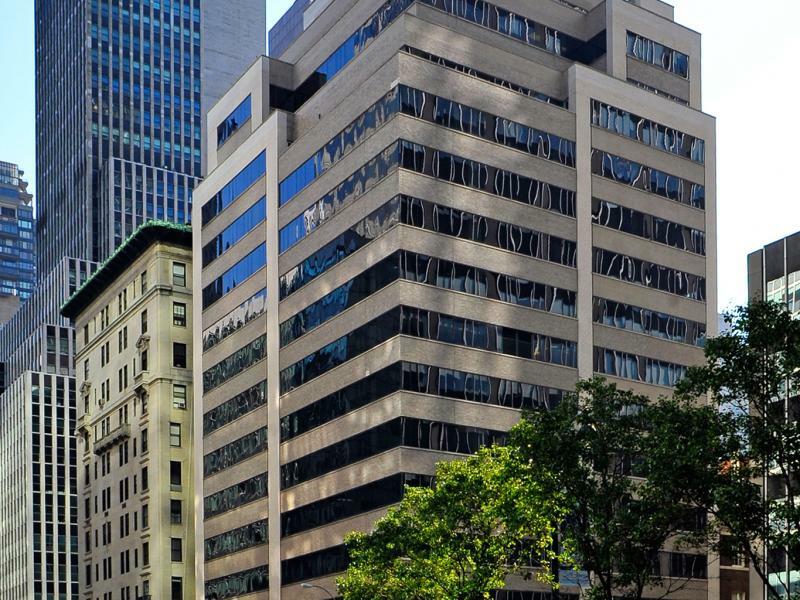 MRP Realty and Deutsche Bank Asset Management are in contract to buy 405 Park Ave.
A Park Avenue office building, which caused three Manhattan landlords to lose $38.6 million eight years ago, is in contract to be sold for $240 million. A spokeswoman for Deutsche Bank Asset Management declined to comment. MRP Realty couldn’t be reached. Donerail bought the unassuming brick and glass building in 1981. And in 2007, at the height of the previous real estate boom, it struck a deal to sell the property to a partnership between investors, Larry Gluck, Steve Witkoff and Westbrook Partners for $178.5 million, according to published reports. When the market went south, the trio backed out of the deal and lost a $38.6 million down payment on the property. To reclaim the deposit, Gluck, Witkoff and Westbrook sued Donerail but lost the case in 2012. The pending sale of 405 Park demonstrates how much property values have not only rebounded but soared. The property is located along one of Manhattan’s most expensive office corridors where rents routinely surpass $100 per square foot. Just one block away, for instance, L&L Holding Company is constructing a new office tower at 425 Park Ave., where it is seeking rents that top $300 per square foot—a record for the city. Although 405 Park Ave. is nearly fully leased, MRP Realty and Deutsche Bank Asset Management have the option to renovate the property and cash in on rising rental rates in the neighborhood as space in the property becomes available as leases expire. MRP Realty is a relatively new player in the city. Last year, the Washington D.C.-based firm opened a New York City office, and hired Ryan Nelson, a former executive at the real estate development and investment company Sherwood Equities, to lead its investments in the city. In September, MRP Realty and Long Wharf Real Estate Partners bought an office condo at the base of 135 W. 52 St. for $36.25 million. That 55,000-square-foot space, on floors 2 to 6 in the 47-story property, was sold by developer Joe Chetrit, who converted the building above the commercial condo into high-end residential condos from a hotel. Yes, I saw that the other day, my man! I thought that was why you were saying 405 can’t survive much longer! You were on the money, per usual. That building is small and would be easy to demolish. It is so tiny for an office tower, but could you imagine the prices that an 800’ limestone condo by Stern would generate. Is there any possibility L&L could snap this up and transfer the development rights over to 425 to give it a height boost? Are they restricted by what the existing building can support, or by some other regulation? I remember some speculation a long time ago that they could add a residential segment atop the current office plans and vault this well into supertall territory; I’d love to see that, not least to give 432 Park a bigger neighbor to balance it out. This site is prime for residential though. A REALLY nice tower could rise here. I’ve thiught that for years. Great to hear about 405 Park. That building is really a POS and something much better is deserving for such a prime spot. Anyway, when they do decide to move forward and wish to build taller…they (405 Park) could take advantage buying air rights from land marked institutions such as St. Patricks, St Bartholomews’s etc., once the city allows such transfers, so this could end up being pretty tall! What’s the cutoff floor for demolition? I’d imagine they’re fairly close to reaching that point now. I’m not sure, but I think they’re keeping only 25% of the bottom portion. When the churches and synagogues are able to freely transfer their air rights, some really tall residentials will rise on Fifth and Madison. I think that the Rolex Building will be the first to go. I love the Rolex Building! Just from looking at it, outside of the obvious size difference, it reminds me of Willis Tower. The years are numbered for this 15 story box. An 800’+ Stern tower on this site would be a HUGE success.